2016 has been a year of extreme ups and downs and has taught me a lot about myself, other people and life in general. It has taught me never to put my own self-worth in the hands of another and how to realise when someone is damaging my happiness. It has taught me to take with a pinch of salt people's words and promises and to remind myself that how they treat you is how they feel about you, no excuses. It has taught me to cut negative people out of my life, no matter how hard that may be. It has taught me to put myself first. It has taught me that how I love myself is how I teach others to love me, and that the most important relationship we will ever have is with ourselves. It has taught me not to let small minds convince me that my dreams are too big. It has taught me to think twice about reserving a place in my heart for people who do not want to stay. It has taught me that old friends are not necessarily good friends and that people will make an effort to keep in contact if they care about you as more than just someone to pass the time. It has taught me that a soulmate does not necessarily have to be a significant other, they can just be a best friend (shoutout to Ms Mateer). It has taught me that love is never unconditional and has to be worked for consistently, and that there is no point in holding on if the other person has already let go because it will only hurt yourself more. It has taught me that the world is full of inequality and if you ignore it, you are contributing to it. It has taught me to speak out, even if I am criticised. It has taught me not to beat myself up if things don't go the way I've planned or if people don't treat me right, and to recognise that the problem is more often than not inside themselves rather than me. It has taught me that people never really change, no matter how much of your soul you pour into them, and you'll only end up hurting yourself. It has taught me to pursue my own dreams, goals and ambitions no matter what other people think I can and can't do, it is my life after all. It has taught me that my opinion always matters, and that educating myself on a variety of topics gives me a huge sense of empowerment. It has taught me that the meat industry hides behind a wall of propaganda which needs to be torn down. It has taught me how to survive on my own, both away from my family at university and away from a relationship I thought would last but didn't. It has taught me that after darkness comes light, and after heartbreak (eventually) comes a time to love again. It has also taught me to love myself before attempting to love anyone else, and the months I have spent on my own have helped me grow as a person and learn things about myself which I had never discovered. It has taught me that you're never going to be 100% ready and it's never going to be just the right time, so if you want it you just have to do it. It has taught me to understand the immensity of the universe, and our insignificance but also our absolute importance. It has taught me to remember that there are still over 7 billion people in the world who I haven't met yet. It has taught me that life is beautiful when you learn to see the good in everything rather than the flaws, but that it's okay to have a bad day when everything seems to go wrong. It has taught me to surround myself with intellectually stimulating people who motivate me to be a better version of myself. It has taught me the importance of balance; to have a salad for lunch but a bar of chocolate for dessert, to make saving a habit but to buy that pair of shoes I love, to drink too much wine and too many shots one night but then stay in for the next two studying. It has taught me to motivate myself and pick myself up out of bad moods and lazy days to be productive and positive. It has taught me to be kind to myself, to take time to myself when I need it and to nourish my body rather than punish it. It has taught me that not everyone you lose is a loss. It has taught me how to mend my own heart and pick myself back up, because nobody is going to put me back on my own two feet other than myself. It has taught me to work hard to get to where I want to be in life, as you can't just sit around waiting for good things to come your way. It has taught me that I don't need a boy to complete me and that I am perfectly whole on my own. It has taught me that family is the most important thing in this world, but also that family can include people with whom you are not related by blood. It has taught me that everything seems better after a good night's sleep and a cup of tea. And most importantly, it has taught me to be kind and caring towards those close to me and show them how grateful I am to have them in my life every single day, because one day, whether it be tomorrow or in 20 years time, they could be gone. Thank you, if you've managed to get this far! 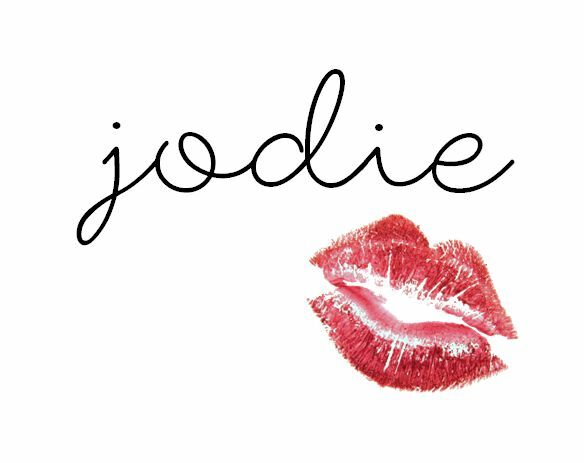 I've taken a few months off blogging as I've settled into University but I'm hoping that 2017 can be a fresh start to Joie de Jodie and I have a lot of ideas on the way. You are right. As time passes and our experiences increases in the same manner we grow too. With that wisdom with that experience we should never degrade ourselves for we have survived what was impossible for us.